I would just like to leave some feedback for the work carried out in our Newcastle store tonight. how thoroughly but efficiently they undertook the task. Both are a credit to your organisation. We’re so proud of all our Engineers, Plumbers, GA’s and our Office Team. We are so pleased that our customers feel the same! 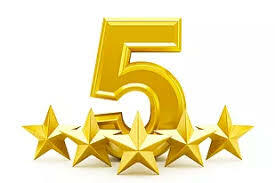 “It is good to get a nice, friendly, efficient service and I was pleasantly surprised at how reasonable the bill was too! Metro Rod North East are proud to provide essential plumbing and drainage services tailored to each customer, ensuring we continue to provide a quality service. I just wanted to thank you and your colleagues for you help fixing the collapsed Drain and Manhole at Telford Probation office – It’s a huge relief to get it resolved. I lost count how many times your engineers came out to unblock the drains (I’m sure they were getting fed up coming here) but all of your lads were always helpful, friendly and professional and I really appreciate their help with this. I’m sure (I hope) that’s the end of the problem but if we have any concerns in the future Ill ask for Metro Rod before anyone else! We attended Central Jamia Mosque Ghamkol Sharif to carry out drainage works. Christina in the office explained the procedure and cost in great detail and was very polite and professional. She called twice to give me an estimated time of arrival, unfortunately missed the call, but she left me an informative voice mail to ensure I knew what was happening. I was very impressed with the service I received right from calling it through to the works carried out.